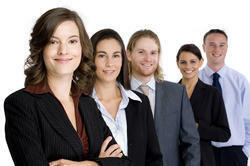 We are the leading service provider of Management Placement Services. Glan management consultancy is a discreet manpower solutions agency, based in delhi, india. We are interested in taking up recruitment projects for all over india and would be interested in providing you with necessary talent on a profit sharing basis. C-level management, chairpersons, managing directors and other senior management professionals have to be headhunted with an expertise, which can only be acquired through years of experience in executive search. Offering services such as senior level management placement service.